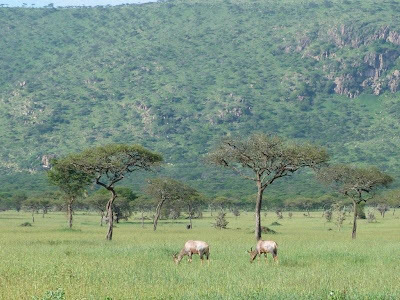 Safari Ecology: What is the savanna biome? 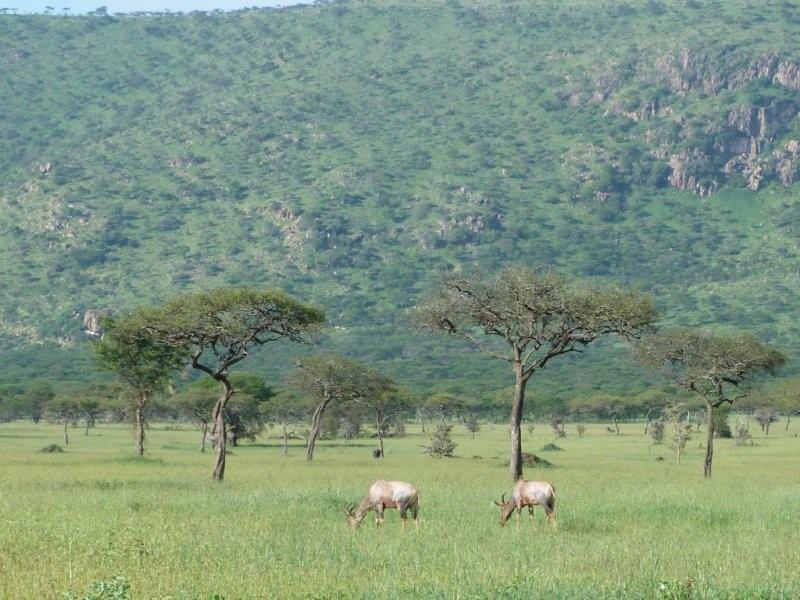 Savannas around the world are often open woodland like this Serengeti pic. So, if we're going to understand what the savanna biome is, we need to look at the processes that are the dominant forces within it. If we can understand these, then we can predict where savannahs will be found throughout the world - and we can also understand what might happen to savannahs if we humans mess around with these processes through, for example, the effects of climate change. And this is exactly what Carla Staver and her co-authors have done in their paper (which I'm afraid is probably hiding behing the paywall here). They were particularly interested in discovering what determines the boundary between forest and favanna biomes (the boundary with desert is a much more obviously rainfall driven boundary), and decided that the most likely factors were rainfall and fire. Whilst that might well be true, there's plenty of evidence that herbivory is a major player too (at least here in Africa) and nutrients have been proposed as major players too (though there's also plenty of evidence to suggest this really isn't the main thing). However, they didn't look at these - herbivory they mention but exclude from their analysis with the very reasonable excuse that we just don't have a good idea how much herbivory there is around the world, but I think it's a bit of a shame they didn't have a go at nutrients too. Still, enough of what wasn't looked at - what did they find? 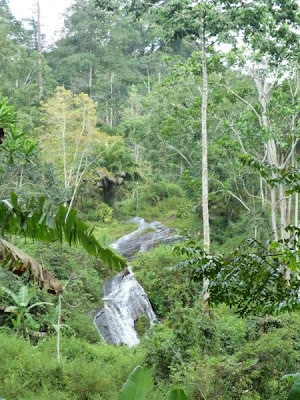 Amani NR is forest - and WET! They extracted data from satellite records from the whole of Africa, Australia/Southeast Asia and South America (not sure why India didn't feature, but there you go), looking at tree cover, fire frequency, rainfall, etc. As expected, they found that as you increase rainfall from the minimum within a savanna of around about 400mm you gradually get more and more trees, until at about 1000mm per year something strange happens and, instead of there being a continued gradual increase, two patterns emerge - one of continued intermediate tree cover (below 50%), typical of the savanna biome, and another of around 80% cover - typical of the forest biomes. And (at least in Africa and South America) this pattern continued between 1000mm and 2500mm, after which all areas were definitely forest. From this pattern they conclude that in the regions they studied at least, below 1000mm of rain savanna is the only possible biome, whilst forest is the only possibility above 2500mm - but in this intermediate area either forest or grassland can occur, and the overwhelming factor predicting whether you end up with forest or savanna was the presence of fire. What amazes me is just how much of the world (and Africa in particular) this intermediate zone covers - in the picture I've included from the paper below you can see that whilst most of East Africa is too dry for proper forest biomes and we're in a stable savanna area at the moment, most of the Congo forests are, in fact, potential savannah biomes too. And what's more, if climate change really does result in more rainfall for east africa it will move parts of us from the certain savanna regions to potential forest zones. Of course, the authors pointed out that it's not quite as simple as total rainfall, but the seasonal pattern is also very important - if the dry season was longer than 7 months it doesn't matter what the rainfall is, you'll have savannah, a feature that they suggest might explain why things seem to be a bit different in Australia. 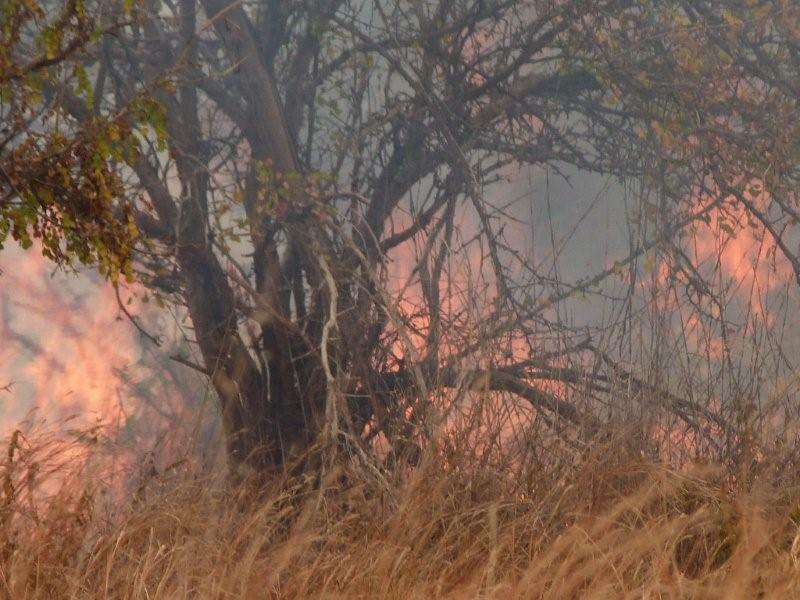 On the other hand, it seems you can have savanna in areas with remarkably short dry seasons (though in Africa, not less than 2 months is needed) - I wonder a bit how fuel ever gets dry enough to burn in such areas - maybe these are the locations we should be looking for the most serious herbivory impacts? 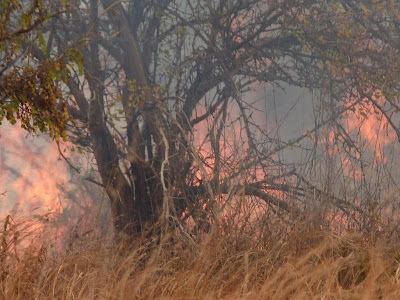 Anyway, all in all a pretty convincing story showing once again that whilst climate is important, fire is also essential to many savannas (though we can still wonder about their necessity in those drier savannahs, below 1000mm) . And what's more it's another great example of how different stable states can exist in ecology largely, the authors argue, as a result of what's happened in the past: in the overlap zone where forests are currently found it's because these areas were once wetter, whilst in the current overlap zone where savannahs are found, it's because these areas were once drier.